In keeping with our professed goal, we have collected ancient and modern textual resources for our library —articles that we have published in the past— the criteria for selection being that they should be both clinically useful and interesting. We try to represent as many of the specialty departments of Chinese medicine as possible, and preserve them here for reference. Click on an article link for the author and content summary. A range of articles on topics ranging from point selection and use, to needling methods, to case histories — and also the external therapies of cupping and guasha. We use the term "classics" broadly to include not only the standard texts of the Chinese medical canon, but also other ancient texts and historical aspects of Chinese medicine. This includes essays on classical ideas, as well as on other modern and historical aspects of Chinese medicine. Every issue contains an article on Yang Sheng, on (mostly) Daoist ideas of health and life-enhancing practices. Many are offered free of charge. Clinical examples of applied Chinese medicine, from ancient and modern doctors alike. Tips and observations drawn from the empirical experience of practitioners. 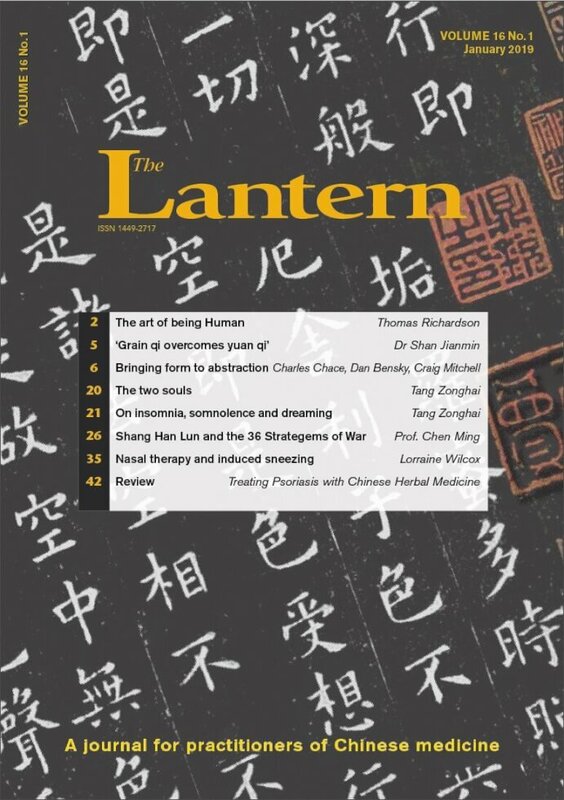 More than a decade in the making, The Lantern archive is a goldmine of practical information on everything from the quirky use of herb formulas to the treatment of life-threatening conditions.